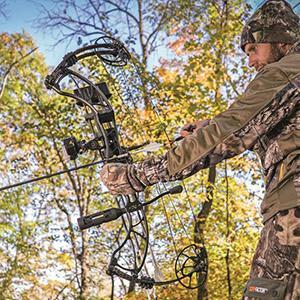 Attach the Tactacam 4.0 to your bow, crossbow or firearm, push the power on auto record button to start recording. Push the button again when you want to stop recording. Yes, it’s that simple…. The Tactacam 4.0 is easy-to-use and doesn’t interfere with your hunt. 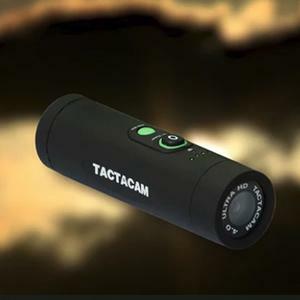 The Tactacam 4.0 is compatible with the Tactacam App which allows you to connect to your camera from your smartphone to turn it on and off, view photos and videos and transfer them to your device for easy sharing with your friends or on social media. Tactacam 4.0 also features 5x zoom, 2.7k HD video, low light sensor, and a 360-degree mic. Combined with Tactacam’s newly designed shell, quick change mode button, external battery indicator, and rugged water-resistant construction… This camera is made to perform and will stand up to the rigors of your hunt. Tactacam is designed for you using the best electronics available. Easy to use; 1 touch operation with vibration indication allows for easy camera operation. This small hunting video camera was built with an ultra high-quality lens and low-light sensor. Instead of using a fisheye lens, which pushes the images away Tactacam uses a unique lens design, providing a view similar to what we see with the human eye. 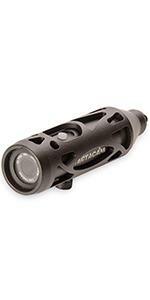 Tactacam 4.0 now features an improved 5x zoom to bring your target even closer than ever! All this is what makes the Tactacam 4.0 the best-hunting action camera on the market. Compatible with the Tactacam App which allows you to connect to your camera from your smart phone to turn it on and off, view photos and videos and transfer them to your device. UltraSharp Lens optimized for Bow, and Crossbow. Ultra HD 2.7k resolution @ 30 fps, 1080p-60fps and 720-120fps. Filming in 1080p @ 60fps gives you 5x Zoom – have a look and see why people are choosing the Tactacam 4.0 cameras. Up to 2.5 hours of recording. Stabilizer Mount Picatinny Rail Camera Mount 32mm For your Tactacam 4.0, 3.0 & Solo Cameras. This mount allows the Tactacam to be mounted to the rail of your gun. The Tactacam stabilizer mount weighs only 4.4 ounces and is designed to securely hold Tactacam 3.0 or 4.0 cameras. Just hit the button and forget it the Tactacam stabilizer mount allows you to capture every memory from your hunting and shooting experience with ease.